• New harder carbide grade – Made in Europe. • 4 sided design “diamond style” with aggressive cutting edges. • Fast spiral with tightened pitch. • Shiny / copper fi nishing. • Agressive tip improves precision and penetration. • Drilling through up to class 3 ceramic tiles. • Use dry for easy work. 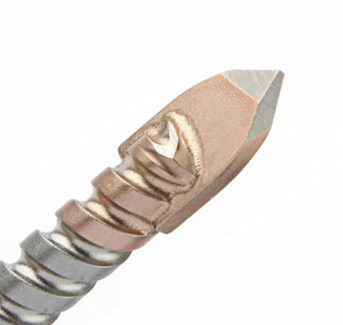 • Better resistance to high temperature when drilling. • Speed up dust extraction. • Ideal for deep materials. 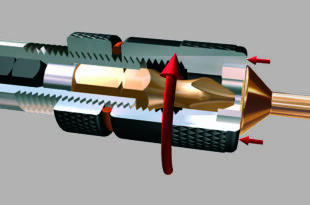 • Whirlwind effect : help to cool down the drill bit. • Suitable for more materials : non-tempered glass, plastic, composite, brick, marble.